Based on the experience of Berklee's Open Music Initiative 2017 Summer Lab Workshop, this Toolkit will offer recommendations of how other organizations can replicate the activities and conditions, in order to implement similar programming, at various scales and budgets, in diverse backgrounds and communities, toward achieving a similar objective of exploring the intersections between creativity and technology. Use the links below to navigate through the Toolkit. A Music Technology Workshop exists for participants of a local creative economy, such as artists, technologists, entrepreneurs, investors, influencers and civic leaders, who would benefit from increased exposure and content knowledge in the innovation sector and emerging technologies. For example, the 2017 Workshop allowed artists from Jamaica and Trinidad and Tobago to experience the prototyping and innovation at the Open Music Summer Lab alongside Summer Lab Fellows. A Music Technology Workshop should unite participants of a local creative economy and encourage collaboration of a variety of skill sets to ideate, develop, and prototype solutions to problems in the music industry using emerging technology. The training spaces should be adjacent to the ongoing hackathon or lab, and should be engaging, flexible and have natural light. Ideally, trainings should be able to shift between different rooms throughout the Workshop week, in order to adapt to the types of trainings being given, and to offer a change of scenery. The rooms should also be large enough to allow the participants to move around and collaborate with each other during the sessions. Technology workshops run concurrently with a hackathon or tech lab. A successful hackathon usually lasts two full days with periods designated for input from mentors, or end users, and a final pitch for evaluation of the teams and products. During the Open Music Summer Lab, which was a two month program, the Artist Workshop ran during the final week of the Lab. The crossover of the programs allowed the artists to interact with, and observe the Summer Lab Fellows’ project prototypes, and give invaluable insights and feedback. Workshops and labs create a unique space to convene stakeholders within an industry, to explore and ideate on opportunities and challenges, outside of their daily roles and boundaries. Cross-industry participation and diverse feedback, especially the voices of artists and consumers, is key because all perspectives and experiences in the music supply chain must be considered for effective solutions. Aligned with the Open Music Mission, the Summer Lab explored potential future uses of our open-source API for the uniform identification of music rights holders and creators. The teams were charged with demonstrating new music experiences using blockchain registration, sharing use cases and making recommendations for additional features to the Open Music API based on their experience, and the input of the artists. A Music Technology Workshop's goals and execution should mirror that of the accompanying lab, tech event, or hackathon. These concepts should be based on relevant opportunities and challenges in the current state of the music industry. The Open Music Summer Lab focused on concepts that are relevant in the current state of music creation and consumption that includes mashups, remixes, and music created by artificial intelligence, as well as enjoying music in new markets, such as social media and virtual reality. We followed IDEO’s human-centered design thinking methods to rapidly prototype and get user feedback on possible solutions. The combined teams of technologists and artists created opportunities for unexpected ideas and products. During the Open Music’s 2017 Summer Lab, programmers, artists, entrepreneurs, and facilitators participated in an eight-week prototyping program that combined creativity and experimentation with cutting edge technology such as blockchain, artificial intelligence and virtual reality. 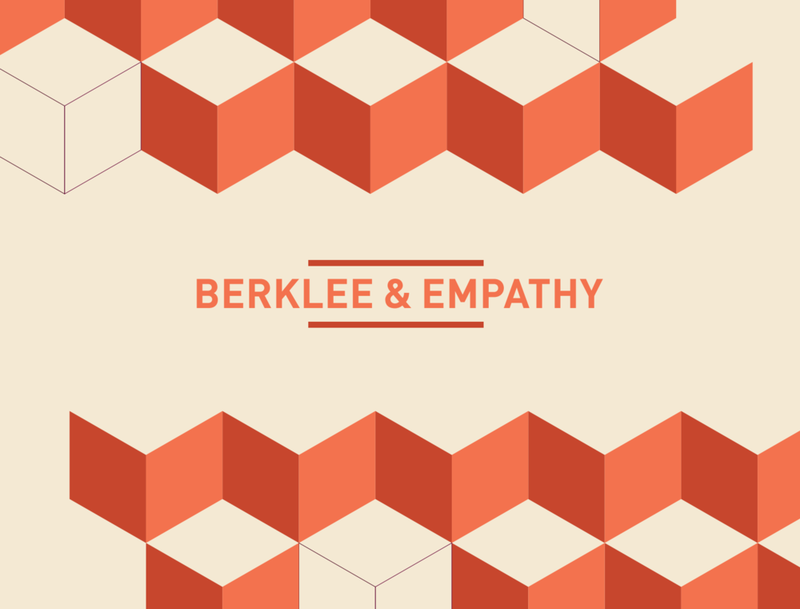 This eight-week experience used the resources and human capital that exists within Berklee, IDEO, and the surrounding Boston community, and set the conditions during which the Music Tech Workshop for artists was held. 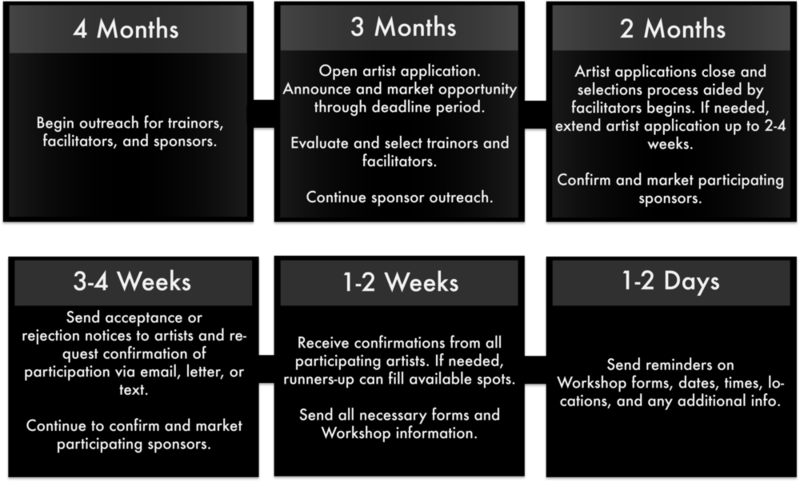 We've outlined the skills and criteria that participants and facilitators should possess in order to run a successful Music Tech Workshop within any local economy or ecosystem and described the process to attract and recruit sponsors. While organizers at the local level may face budget limitations or may have limited technical knowledge and experience, an organization or institution can follow the guidelines laid out in this Toolkit to plan and implement a Music Tech Workshop with similar outcomes and deliverables. This is a hands-on training in the principles IDEO uses when designing a new product or experience, specifically in seeking user feedback, and observing user experience. PDF here. This training covers the fundamentals of creative entrepreneurship, including how successful artists and entrepreneurs develop similar mindsets and use similar best practices, such as collaboration, improvisation, and rapid prototyping. PDF here. This workshop provides an overview of the founding and mission of the Open Music Initiative, and of distributed ledgers and blockchain, and the opportunities they provide for the Open Music Initiative. PDF here. Accompanying video here. This workshop provides an overview of the content provided at the final demo day of the Summer Lab. PDF here. In this session, the artists received individual photoshoots with a professional photographer on staff at IDEO. These headshots are provided in order to enhance the artists’ digital profiles, and brand as creative entrepreneurs. A post workshop survey used to compile artist reflections and opinions based on their experience at the Open Music Summer Lab. PDF here.